Chile is the world's biggest copper producer, and it is now turning to bacteria to reduce production costs and boost its copper recovery rates. 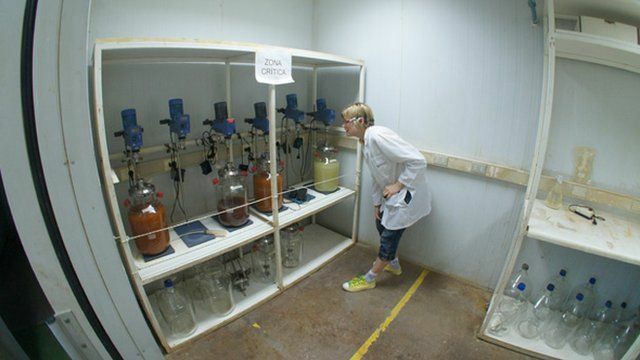 The BBC's Katia Moskvitch visited Biosigma, a company on the outskirts of Santiago, that uses bacteria to extract copper from ores. Industrial scientist Roberto Bobadilla explains how bioleaching of copper is actually done.